The Rotary Club of Remuera, NZ held another successful Business is Awesome one-day seminar for high performing Auckland secondary school students in Rotary District 9920 who are considering business careers. 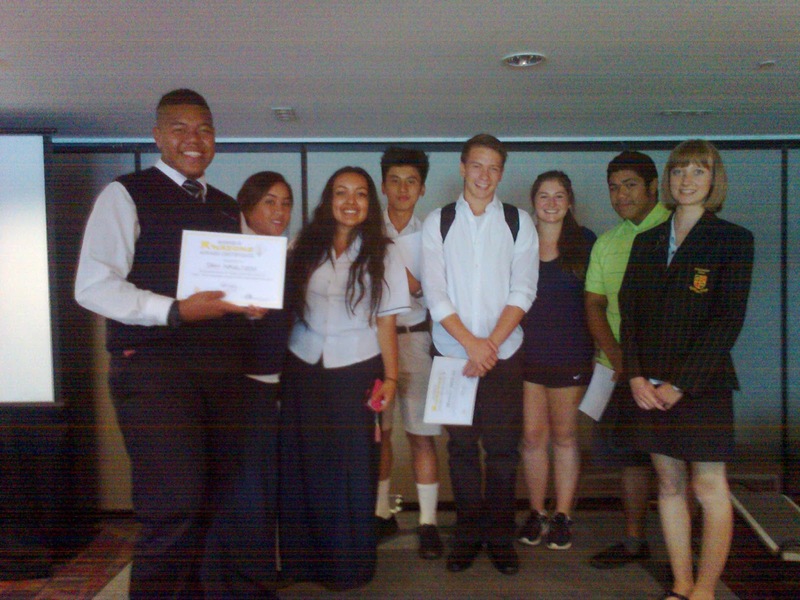 109 students from 13 schools from central, south, and east Auckland attended the event on May 14, 2015 at Waipuna Hotel and Conference Centre in Mt Wellington in Auckland. The Business is Awesome program was started by the Rotary Club of Remuera many years ago, and it is organised by its Vocational Committee. The seminar is a mix of keynote speeches by prominent and successful business leaders with group exercises and business puzzles simulating challenges and realities of real business life. It has evolved over the years and now takes the form of a Dragons’ Den. The day began with presentations by two non-Rotarian entrepreneurs, Mooks from steel fabrication and rigging business MP Rigging, and Megan Sargent of Abes Bagels, who spoke about the businesses they had started. The students then worked in teams to develop a business idea of their own, before pitching their ideas in a market place to a group of visiting business owners, specialising in marketing, finance, and management, who selected the winning team. The judges were Chun Chung of Bakers Delight bakery chain; Josh Wong of IT management company TwoPointZero; Norm Johnston of Leonard Knight Chartered accountants and member of the Rotary Club of Remuera; plus three teachers from the attending schools. The business ideas that were proposed by students attending the seminar ranged from a mobile phone battery charger powered by the motion of walking, to a food bus based on a double-decker bus with the food prepared upstairs and sold downstairs. The teachers commented that the presentation was of a high standard, and some valuable ideas were generated in a very interactive atmosphere, to the obvious benefit of their students, who enjoyed working with students from other schools. Plans are in place to repeat the Business is Awesome seminar in 2016.